I had a last-minute request for a birthday cake and I just happened to have two 8 inch cake rounds laying around, one was blue, the other was red. 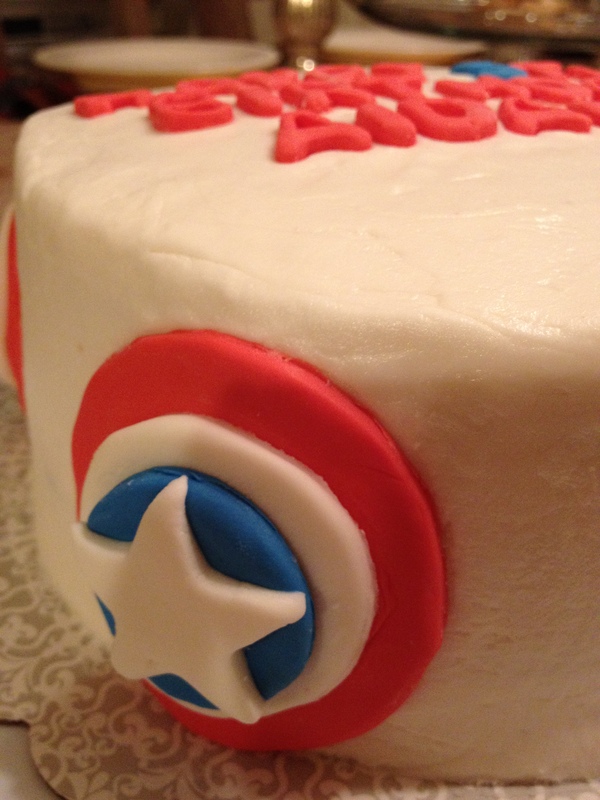 So we decided this would be a Captain America cake! 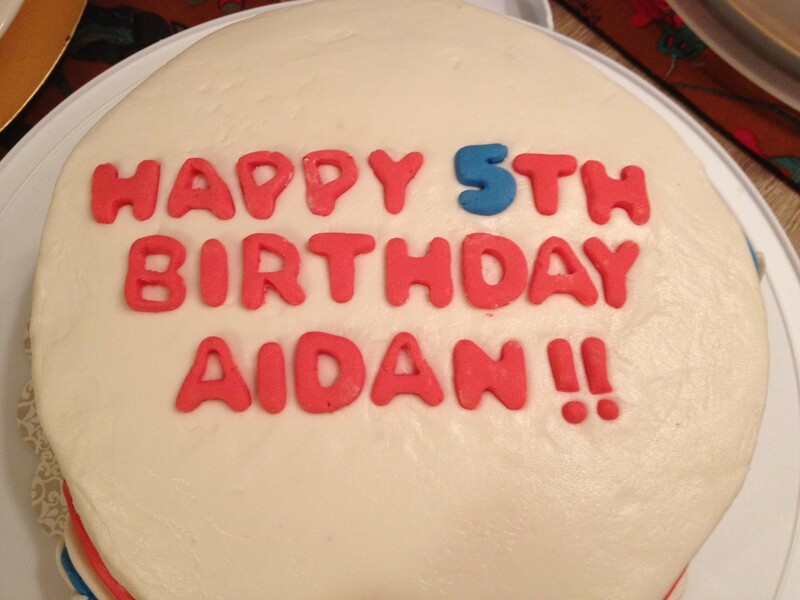 I used a stiff buttercream for the frosting since this cake would be traveling for 6 1/2 hours to Florida. 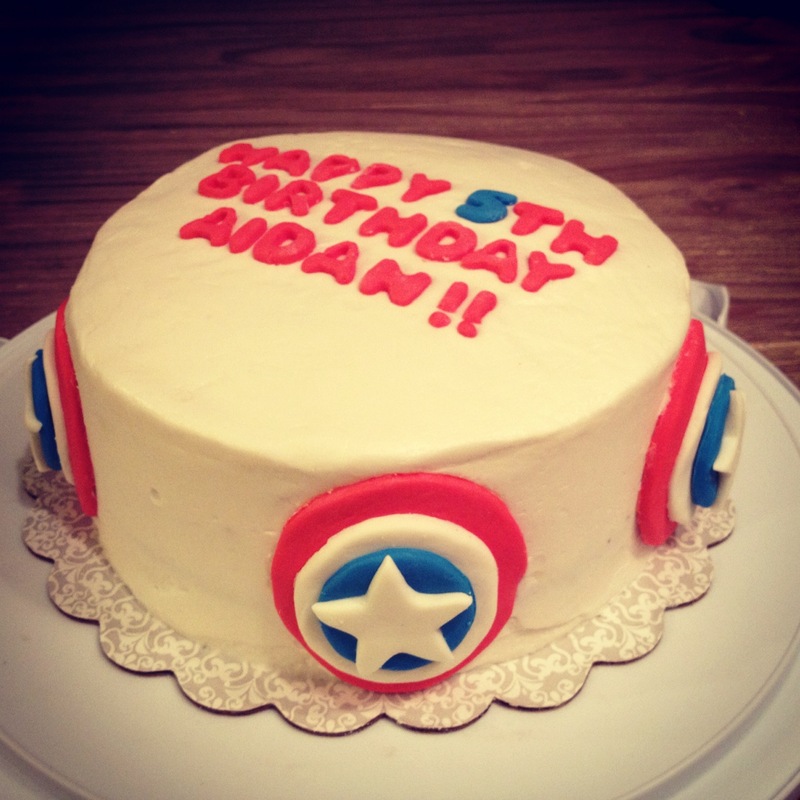 I also made fondant accents to carry through the Captain America theme. Check it out!